The long, hard season has arrived in which the vines, naked, knotted and stripped of their foliage, have yet to begin budding, let alone flowering. As for their fruit, that will only be harvested in a few months. And yet it is at this moment, in the middle of winter, that the different choices and pruning skills are implemented that will have a bearing on the whole of the vine cycle to come. Containing the vigour of the vine plant, controlling yields and ensuring the right proportion of fruit to foliage to guarantee the future quality of the vintage: these are the aims of pruning. The pruning of the vines takes place from mid-November until the end of March. 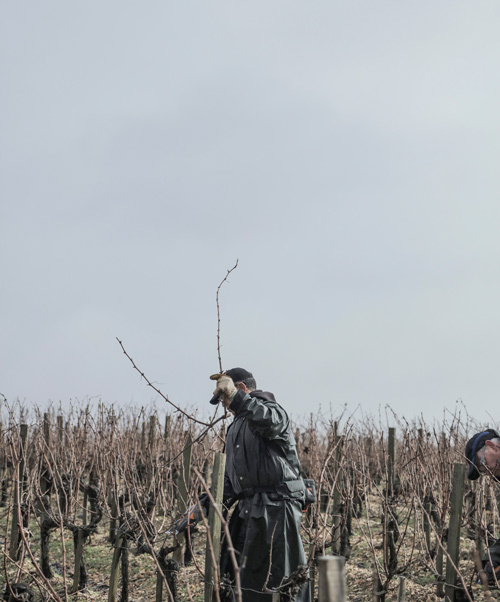 About ten pruners, split into two teams, have the task of performing this tough but vital skill, sometimes in inhospitable conditions: freezing cold temperatures, bad weather, wind or threatening overcast skies. Even the resistance of the vines themselves to the blades of the shears (which fortunately today are electric) can make the necessary precision pruning of last year’s canes and the important selecting of the number of buds for the coming season to enable the vines to develop correctly, the most challenging of vineyard tasks. 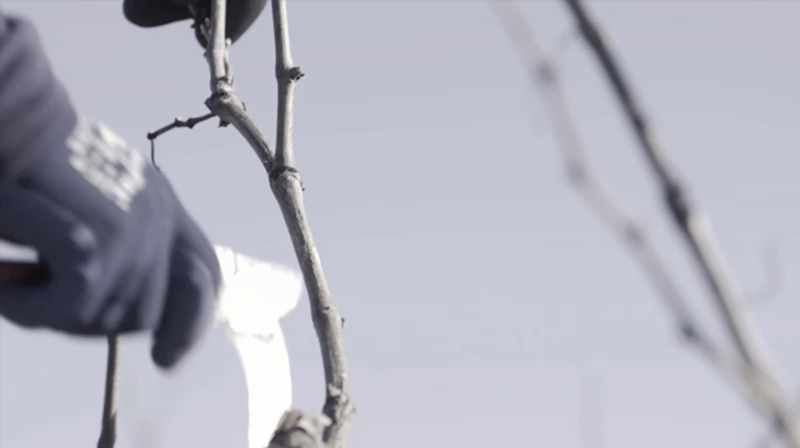 Every winter, 500,000 vines are pruned at Château Calon Ségur. A skilled pruner alone prunes 700 to 800 vines per day. The vines of Calon Ségur are pruned Double Guyot, the time-honoured traditional system used in the Médoc. And yet, each vine plant is different. 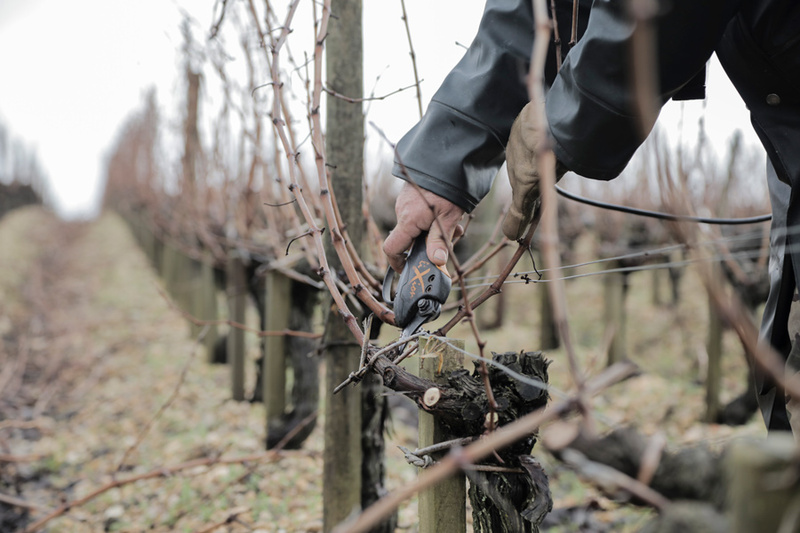 The pruner always needs to adapt his pruning work, taking into account the specificity of each vine to ensure that it will perform the best it can. Being a creeper and a rambler, the vine can only be domesticated through this precision work which throughout the growing season contains it and channels its energies.